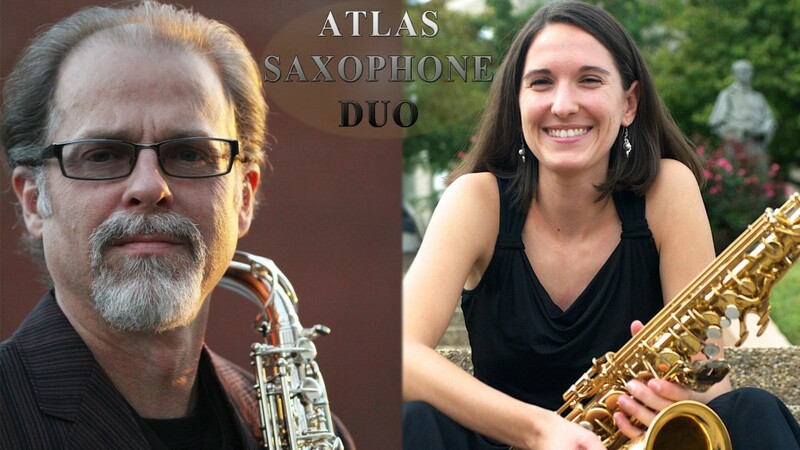 We are thrilled to present the Saxquest performance debut of the Atlas Saxophone Duo. In doing so, we welcome a pair of supremely talented saxophonists who I guarentee will give an emotionally honest and refreshing performance. Classical saxophonists Jessica Knoft and Jeffery Collins will be here this Saturday, July 9, from 2-4PM. With degrees in clarinet and saxophone, Jeffrey Collins enjoys an exciting career as a freelance musician and educator. For over twenty years he has performed with the St. Louis Symphony Orchestra under conductors David Robertson, Hans Vonk, Marin Alsop, Robert Spano, and Leonard Slatkin. He has toured nationally with the Jimmy Dorsey Big Band in the lead alto chair and has performed with stars like Ray Charles, Aretha Franklin, Lou Rawls, Al Jarreau, Art Garfunkel, and Bernadette Peters, to name just a few. Jeffrey is a winner of the prestigious Coleman Chamber Music Competition, was a finalist in the Geneva Concours, and in 2016 was named a D’Addario Reserve Method Artist. A specialist in contemporary literature and techniques, saxophonist Jessica Knopf has degrees from Bowling Green State University and the University of Missouri. As a soloist, she has performed in the United States and Europe and in 2012 gave the world premiere of Chen Yi’s “The Soulful and the Perpetual” at the World Saxophone Congress in Scotland. A winner of numerous awards and competitions, Jessica maintains an active teaching studio and is also on the faculty of the Community Music School of Webster University.